Jackson Gibbons, 15, died in a Bristol hotel room after taking ecstasy pills with a friend. 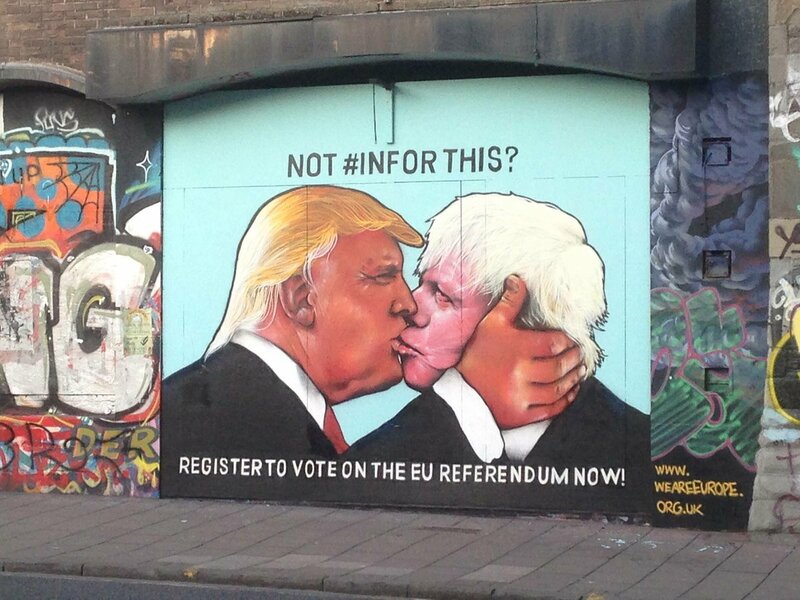 The latest piece of street art has appeared on the streets of Bristol - depicting Donald Trump sharing a passionate kiss with Boris Johnson. 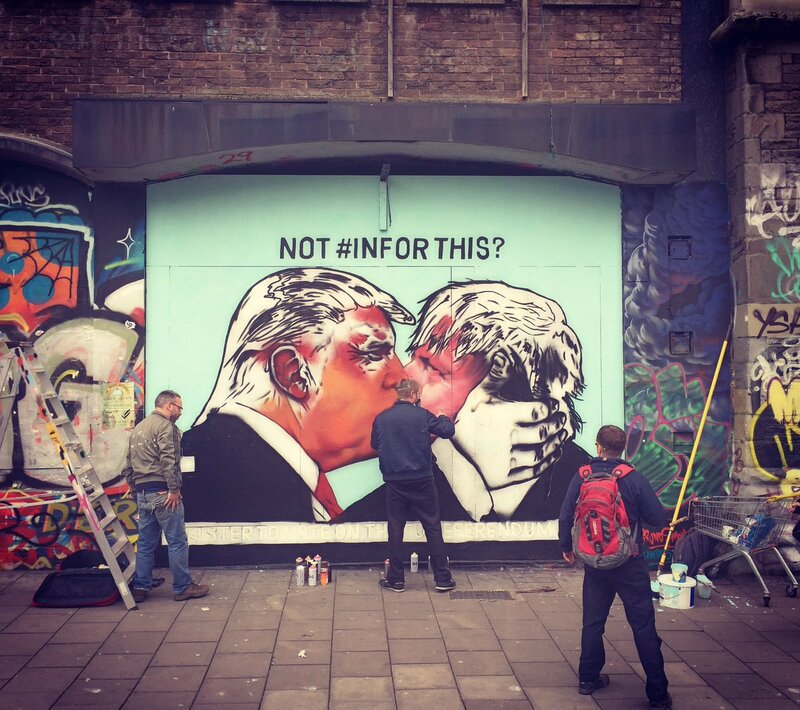 The giant mural of the US presidential hopeful and the former Mayor of London, was painted on Westmoreland House in Stokes Croft. Around it is the message, 'NOT #INFORTHIS? Register to vote on the EU referendum now!'. 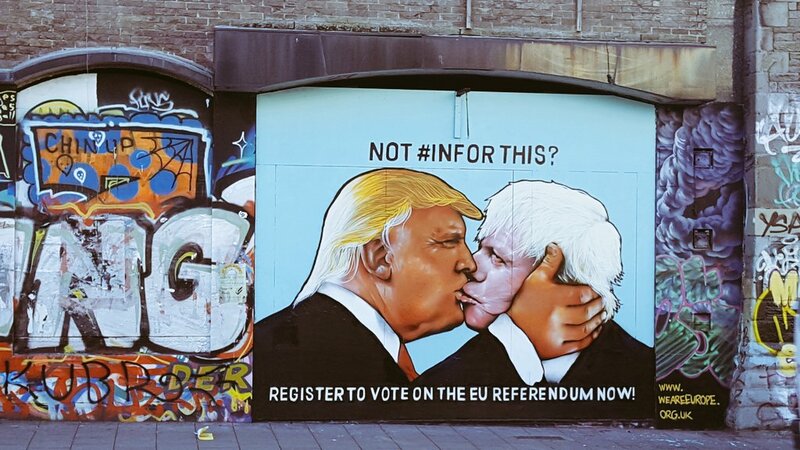 The mural, entitled 'The kiss of death' created by Bristol artists Paintsmiths, hopes to encourage those who are 20 to 30 to register to vote. Boris Johnson is one of the biggest names campaigning for Britain to leave the European Union, while the potential Republican presidential candidate Donald Trump has also backed a Brexit. The painting has caused a stir on Twitter as well. An infamous eyesore in Bristol is finally going to be redeveloped following the City Council's approval. Around 150 campaigners have staged a protest march across Bristol to try to persuade the council to reject development plans for a derelict site in Stokes Croft. Westmoreland House and the Carriageworks have stood empty for nearly 30 years and now a London based company wants to turn them into more than 100 flats. Police have closed the A38 at Stokes Croft in Bristol following reports of a serious assalt. A man was found injured in the street in the early hours. The road is shut at the junction with the B4051 Ashley Road. It could remain closed until at least mid-day. The A38 in Stokes Croft remains closed between Jamaica Street and St James Barton roundabout after a building fire. It will stay closed for the time being while scaffolding is put up. Buses are using Jamaica Street and part of Marlborough Street so passengers can catch them at the Haymarket or the area to the north of Jamaica Street. The A38 in Stokes Croft in Bristol will be closed until at least midday after a building fire. That's between Jamaica Street and St James Barton Roundabout. Buses are using Jamaica Street and a short section of Marlborough Street, so passengers can pick up buses from the Haymarket or the area just to the north of Jamaica Street. A diversion is in place via B4469 Muller Road and M32 junction 2. 35 firefighters have spent the night tackling a building fire in the Stokes Croft area of Bristol. It's thought no-one was injured.